Okeechobee Fishing Report 8/28/18 Eugene Anderson his son Nathan and daughter Carolina (Lina) had a beautiful day on Lake Okeechobee catching 20 bass 4 over 4lbs. They are from New York and really loved this beautiful Florida weather. These kids were a joy to fish with and they were SO competitive. The fishing this summer has been great so bring your family for that catch of a lifetime. The post Okeechobee Fishing Guides- Okeechobee Fishing Report 8/28/18 appeared first on Lake Okeechobee Bass Fishing at it’s BEST! Top Fishing Guides. 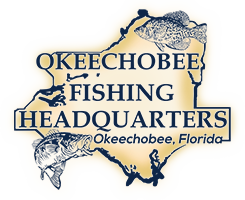 The post Okeechobee Fishing Guides- Okeechobee Fishing Report 8/13/18 appeared first on Lake Okeechobee Bass Fishing at it’s BEST! Top Fishing Guides. The post Okeechobee Fishing Guides-Okeechobee Fishing Report 8/10/2018 appeared first on Lake Okeechobee Bass Fishing at it’s BEST! Top Fishing Guides.